Today marks the 15th Anniversary of our founder, David Lawrence Feigenbaum’s passing. From the humble beginnings of a collector and later a vest-pocket dealer, DLRC has grown to be a national company. While David was not around to see all of the amazing growth that occurred under his son, John Feigenbaum’s leadership, we never want to forget our roots as it was truly from the passion of a dedicated numismatist. Many of you may not know David’s story, but it was one that was shortened far too soon by ALS (Lou Gehrig’s Disease). We honor him and his memory today and we hope that one day soon this dreaded disease will be cured. 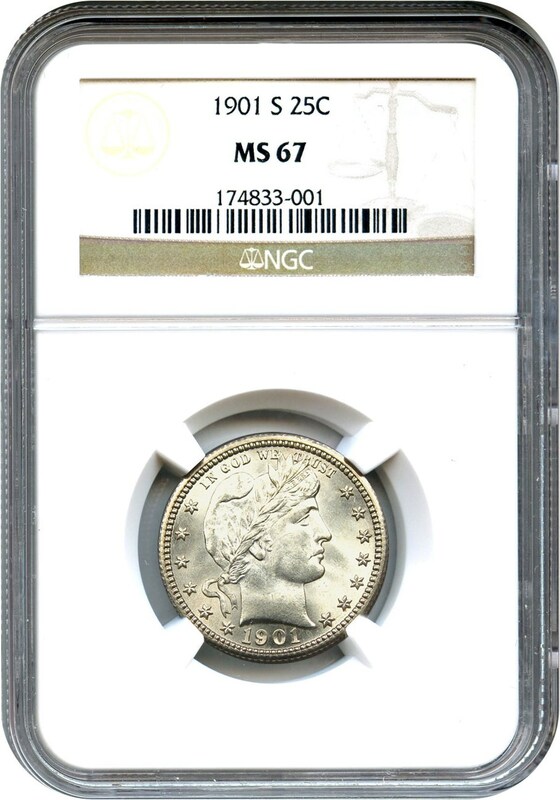 Why we love it: DLRC has long been known to offer the finest 1901-S Quarters available. While we have handled a finer example (PCGS MS68+), this piece is certainly as nice as the other MS67 examples and is the perfect fit for the Rare U.S. Coin Collector. Exhibiting splendid luster, a perfect strike and virtually flawless surfaces, this is one of the finest known of the "king" of Barber quarters. Value: We have had the pleasure of handling this coin at least seven times previously. 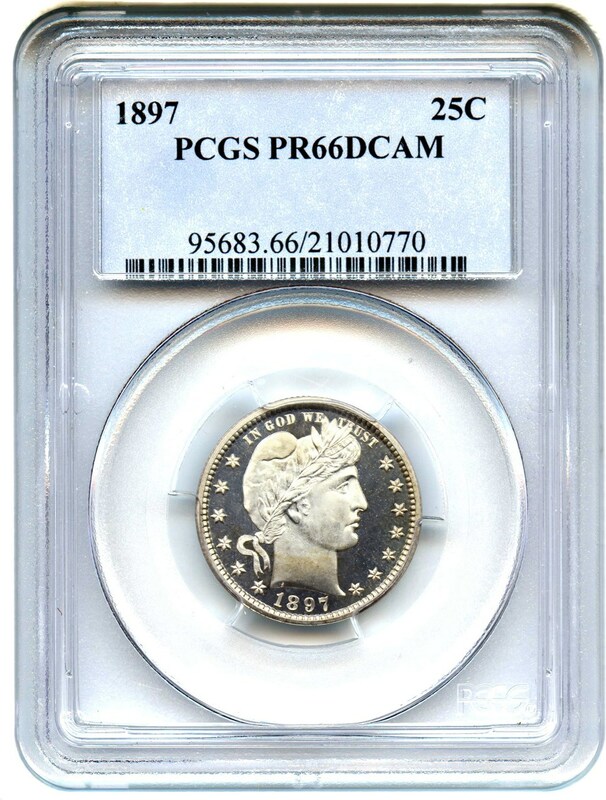 The PCGS Price Guide reflects the value at $250,000, and we know that this coin has previously traded for nearly $200,000. Available as a fantastic Coin We Love this week, it is available via Make Offer for $135,000. While it’s not a fit for everyone, it is a fantastic addition for a collection of high-end rarities. Why we love it: I was discussing this coin with a few non-numismatists over the dinner table yesterday and while they have no interest in coins, the story behind its manufacture and the fact that it was created as the first coin by the developing United States is a fascinating tale. This piece is certainly not the finest example that we’ve offered in the past few months and the term “affordable” is a word that might not exactly apply. However, it is an amazing relic of history of our early states and is certainly a piece that should be appreciated by numismatists, historians, or anyone that hails from this wonderful country. Value: he surfaces and originality are fantastic on this lovely piece and CAC-approved examples are very scarce and desirable. Available in auction this week with a reserve of $47,500 it is certainly a desirable piece of American history. 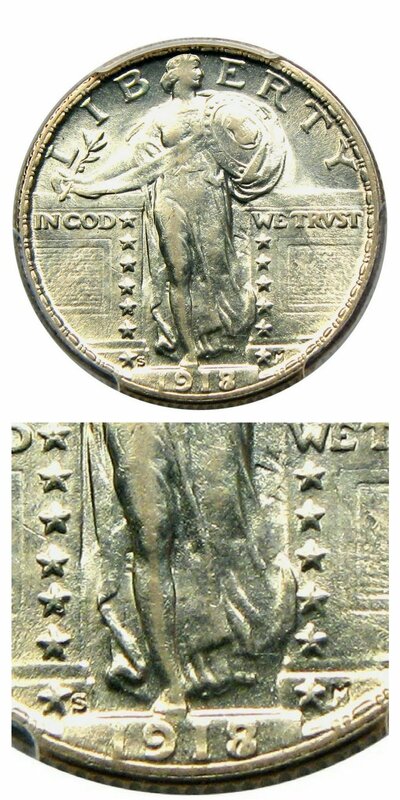 Why we love it: The 1918/7-S is a clear-cut #2 coin when it comes to popularity in the Standing Liberty Quarter set. An AU58 grade is a very desirable issue as they typically come far more attractive than even the low-grade uncirculated examples. This lustrous piece has all of the details that one could desire with the smallest amount of friction on the high points of the obverse. Value: The PCGS Price Guide lists a value of $15,500 for this famous date and grade, but it starts with a conservative reserve of $13,500 this week. We expect that it will be tripped any day now. Why we love it: While it’s still not the hottest series on the market, we do love the value and quality of pretty proof type issues. This piece is an especially scarce offering due to the Deep Cameo designation. While many of the examples that we see don’t quite carry the mirrors of a Deep Cameo piece, this blazing beauty is perfect for those who truly appreciate quality. Of course, the fields may be usable as a compact mirror as well, but we haven’t tested that for accuracy. Value: The PCGS Price Guide sits at $4,600 and no comparable examples of this date have been offered since 2013. With a reasonable reserve set at just $4,000, we think that this is an exceptional value play in the current marketplace. 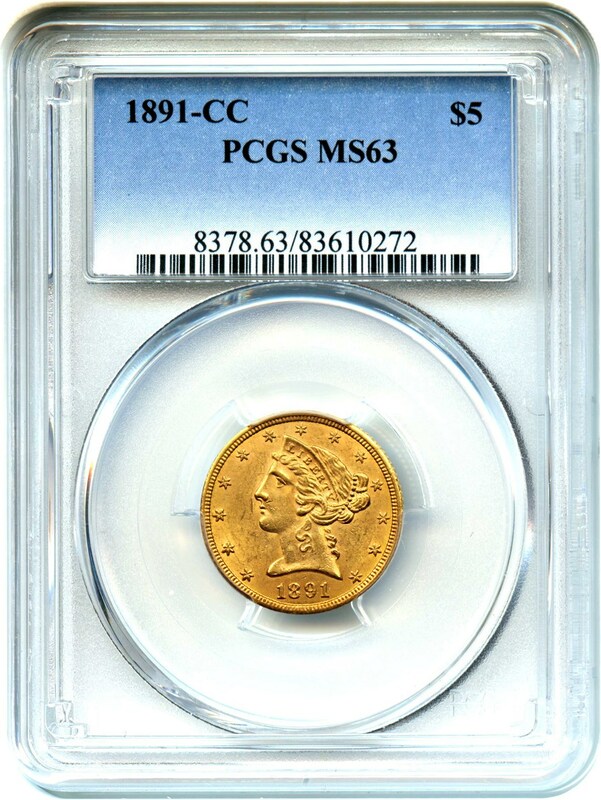 Why we love it: Low mintage Carson City gold examples seem to never go out of style and are always in demand. Nice and original example with flashy luster. Value: We love affordable grade coins. That is to say, ones that are available, and where the next level up incurs at a large price jump. MS63’s for this date fit the bill perfectly. Listed at $4,250, now offered at $3,800 via Make Offer. Why we love it: Popular variety with fantastic eye appeal and strong doubling. Total population of just eleven examples at PCGS in this grade with only four graded finer! Value: CAC approvals have come down significantly since 2013-2015, where auction records topped $5,00-$7,000. 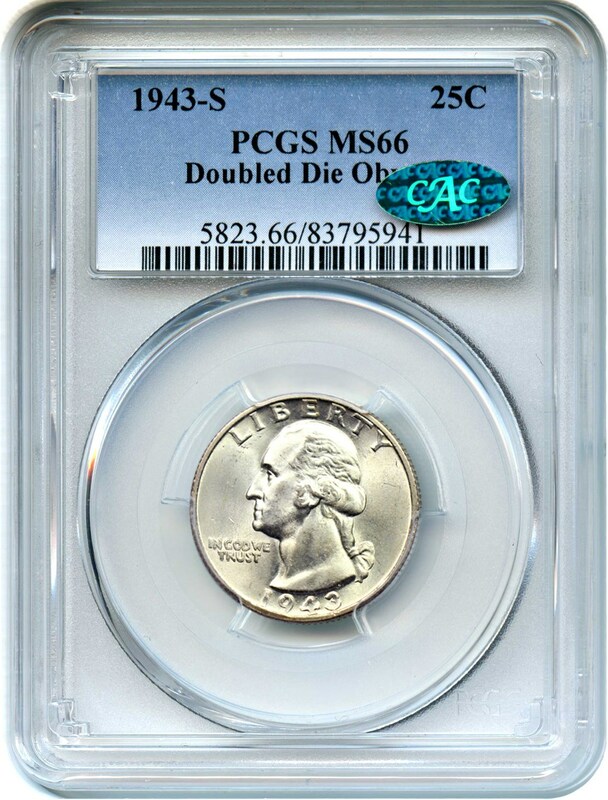 Originally listed at $4,375, now discounted to a very reasonable $4,000 via Make Offer, this coin a nice registry upgrade and a solid value play. Why we love it: A registry quality issue of this scarce variety. Just ten graded at PCGS with only four higher, this is a unique opportunity. Beautiful golden-red surfaces with aspirations of a 66+ grade. CAC approved for quality. Value: This coin is already getting some serious action and has met the very reasonable reserve of $8,950. Not surprising with recent auction record of $9,100. The ultimate winner of this piece should be very pleased. Why we love it: The overdate Buffalo Nickel is often the empty hole in many collectors' Whitman albums. In fact, it is still the lone remaining hole in my personal set that I put together over many years. Very rarely offered in uncirculated grades, this lovely, original piece exhibits nice luster and a very strong overdate. It is truly the nicest example that we’ve offered in well over a decade. Value: Another popular overdate offering from 1918, this is one of our favorite values as it’s a date and grade that you never see. 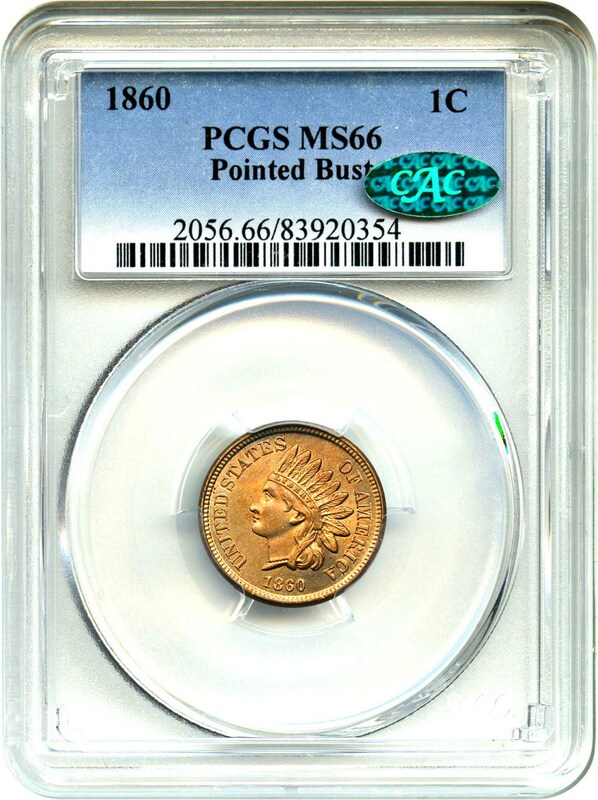 With a PCGS Price Guide value of $46,000, we are happy to offer this coin at a special savings of just $39,000 via Make Offer! 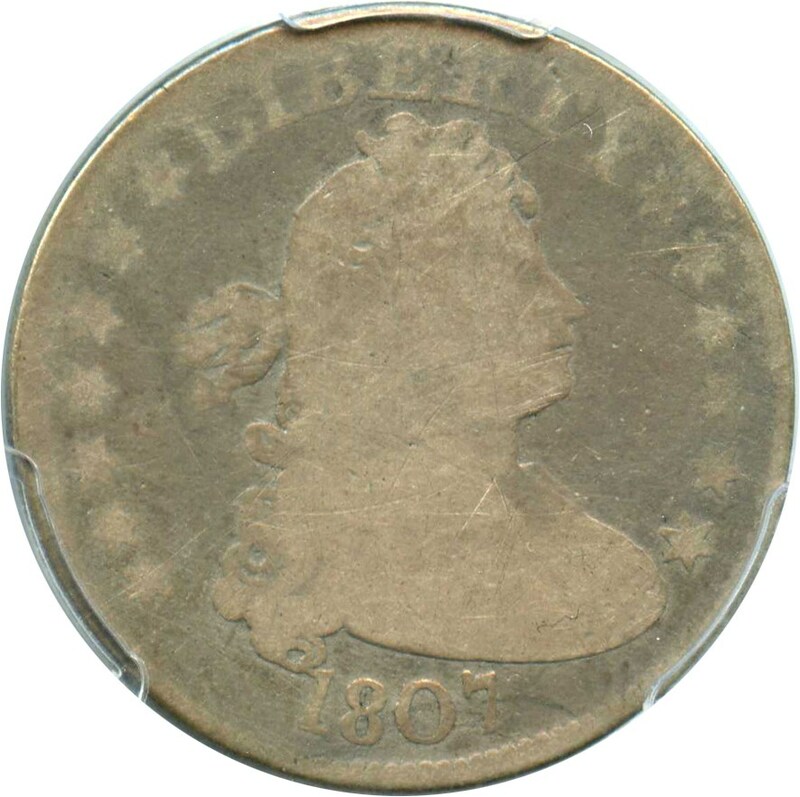 Why we love it: The Draped Bust Quarter was only issued from 1804-1807 to the tune of a little over 550,000 total pieces minted during that span. While higher grade examples are available, we find affordable issues with nice details are wonderful examples of the type and is perfect for a collector putting together an affordable type set. Value: Available via Make Offer for just $300, that’s $115 less than the wholesale Greysheet pricing of a Good example. Why we love it: These fascinating gold coins (or discs) were made by the US Mint (Philadelphia) for the Arabian American Oil Company to pay royalties to Saudi Arabia for the right to drill oil. The sudden, drastic need was mostly to alleviate the oil shortage from World War II. From a total mintage of 91,210 pieces, most were later melted, making these a desirable and rather scarce item, as well as very collectible. Value: We occasionally have the privilege to offer these 20th Century pieces of economic history. Most come in an AU58-MS61 grade range with the occasional nicer example, but they typically do not come more affordable than the AU price level. Our regular list price sits at $2,500, but we’ll extend a further discount to $2,300 via Make Offer in this week’s CWL. Auction #963 Lots Posted. Browse & Bid Now!